Tom Mckie – there is no substitute for Tom. He has been entertaining audiences of all kinds since the early 1990s. His work has been seen in an array of venues from Walt Disney World’s Magic Kingdom, to New York’s Apollo Theatre. Tom has also choreographed for productions for Sesame Street Live, “Dance Jam” at New Jersey’s Performing Arts Center, Towson University’s Dance Team in Maryland, and the annual Ladies of Hip Hop Festival in Philadelphia to name a few. While Tom chooses not to perform frequently, he has a strong history of training young dancers who have grown to go on to great jobs in the dance industry. Tom’s teachings spread throughout the states of New Jersey, New York, as well as internationally (Europe and Canada). 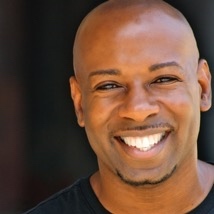 He teaches children and adults of all ages from dance studios, to public schools, to colleges and universities. Tom wishes to keep traveling the world, spreading knowledge of the Hip-Hop culture to anyone willing to learn it. His will to continue learning and growing has pushed Tom forward into becoming more than just a messenger of dance and culture, but a manifestation of the true essence of the culture itself.